Fastest lap time on Strava: 2:29 @ 49km/h average. One of the more historic crit venues in NSW, the circuit has hosted many of Australia’s finest riders over the years and was named after R. J. Heffron, Premier of NSW from 1959-1964 and patron of Randwick Botany CC. 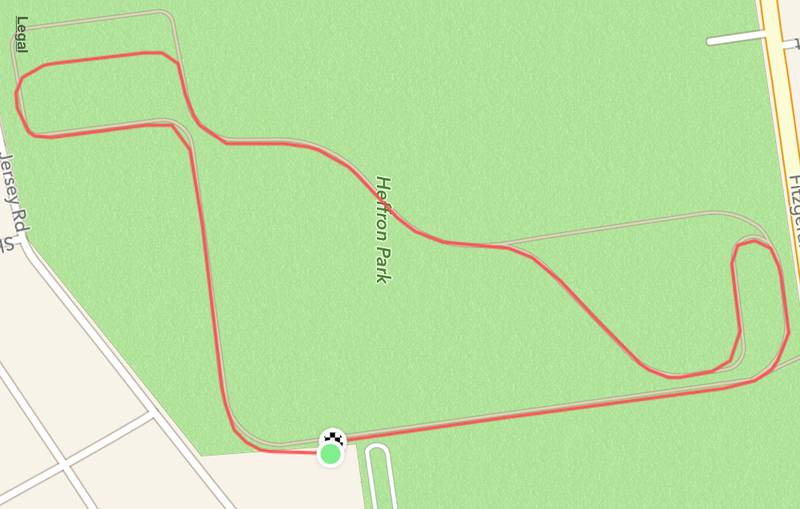 A generally flat 2km clockwise circuit prone to epic winds, it doesn’t look like much until you tilt it on its side when it suddenly resembles dino from the Flintstones. What does it say about the clubs that use it? While it may seem a bit cruel at first, as one of the longest continually used crit circuits in Sydney, the term ‘prehistoric’ doesn’t seem entirely out of place. It certainly isn’t helped by the atrocious road surface (will the powers that be ever stop talking about relaying it and actually do it?) which surely pre-dates religion. A great circuit all the same, challenging and fast. Yabba dabba doo! Dinosaur is about right. Last time it was resurfaced was during the Triassic.